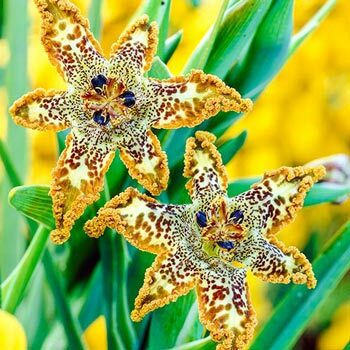 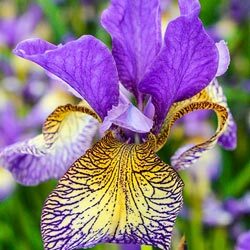 Elegant blooms on easy-to-grow plants. 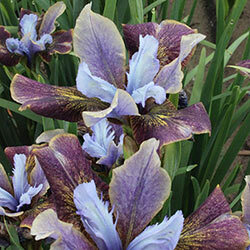 Iris add elegance to the late spring and early summer garden. 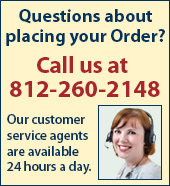 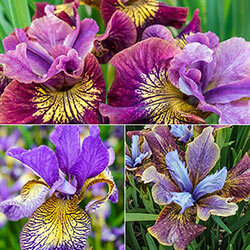 Choose from the large-flowered, fancy bearded German iris, the elegant Japanese iris, or the early-blooming Dutch iris. 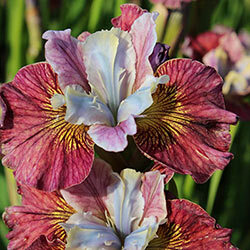 These showy additions to the garden make eye-catching displays, especially when planted in groups and large masses. 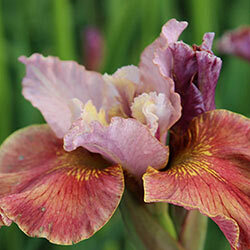 Iris are also impressive as cut flowers. 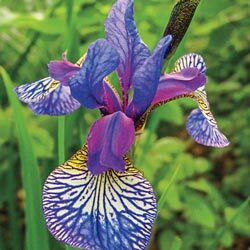 Iris grow best where they receive several hours of direct sunlight throughout the day. 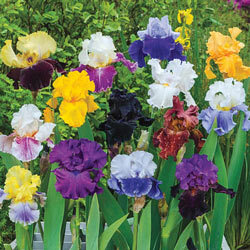 German Iris grow by rhizomes and can be divided and share, while Dutch Iris grow from bulbs. 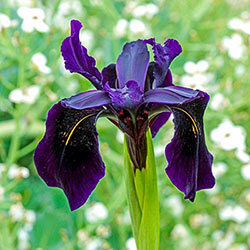 Iris plants are hardy and pest-resistant, giving a regal appearance with very little work.